Well, after the sofa this seems sort of anticlimactic. 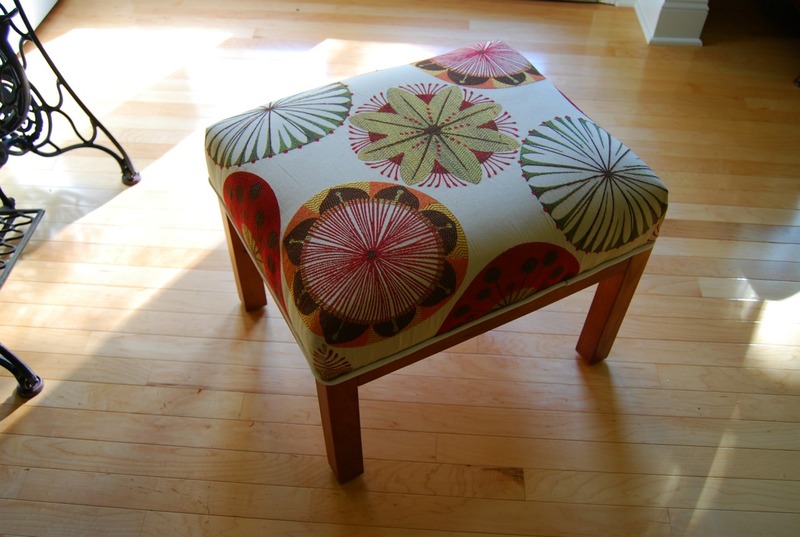 But I upholstered an ottoman. Remember this fabric? It was the original upholstery fabric we picked out for the sofa. I bought a full yard right away and took it home to test out the scale of the pattern. Then we waited so long to purchase it that it sold out. I think the shock over how much upholstery fabric actually costs is what caused us to wait so long. We probably could have figured out a way to get it, but we ended up liking the blue-green fabric so much we just went with it. Anyhoo, here it is. It lives at the end of a non-reclining chair in our den. The ottoman was donated to us by J's mom (thanks!). So even though I purchased this yard of fabric, it was so long ago that it felt like a free project. 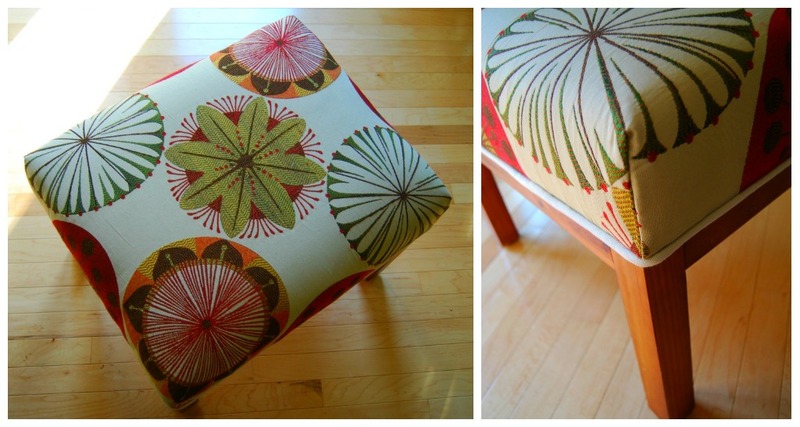 I took off the old upholstery fabric and used it as a pattern. There was no way to play around with pattern placement since there was only one yard. This was the only option. The corners were stitched up first and then the cover was pulled over the foam and stapled underneath. The single welt around the bottom edge is left over from the sofa. Design*Sponge has an awesome tutorial on upholstering a boxed ottoman that is essentially what I did, if you are interested. Minus the welt at the top edge. 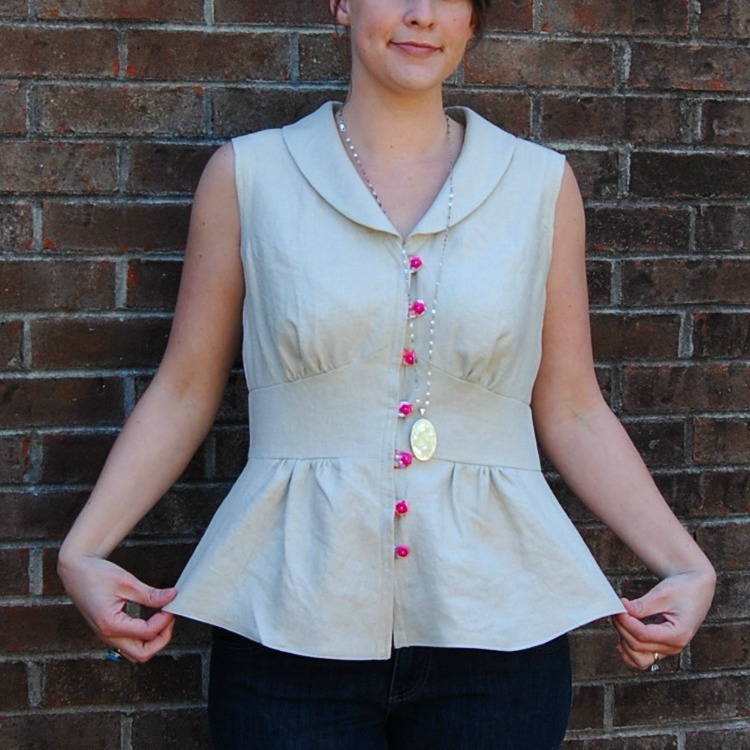 So, remember how I said the linen blouse in my last post was a muslin? Or maybe I really am Tigra. Yes, I really made this. I can't believe I followed through and finished it. Although I only put the buttons on to take photos. At least it fits well. Go on over to Did You Make That? 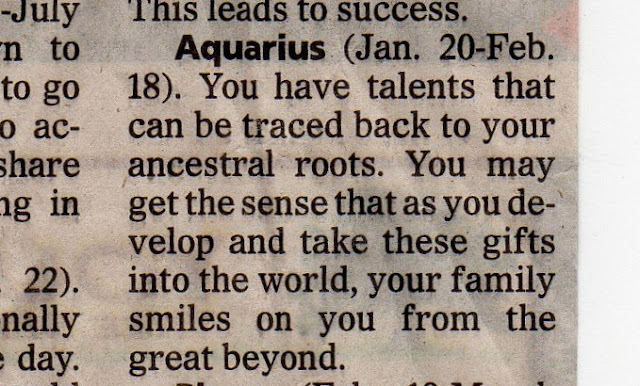 to read my ugly amnesty interview. Karen, you rock! And Oona, Scruffybadger and Molly- I hope you don't mind me calling out your superpowers. I was sure you awesome ladies wouldn't mind! I love linen. Sometimes I worry that I'll turn in to that crazy old art teacher that wears nothing but rumply linen shirts, capris and birkenstocks (with socks). I may not be too far off from that. I also don't feel the need to iron linen completely. You have to just embrace the wrinkles. I know it bothers some folks, but not me. This blouse was actually made up as a muslin. Albeit a wearable muslin, but still. 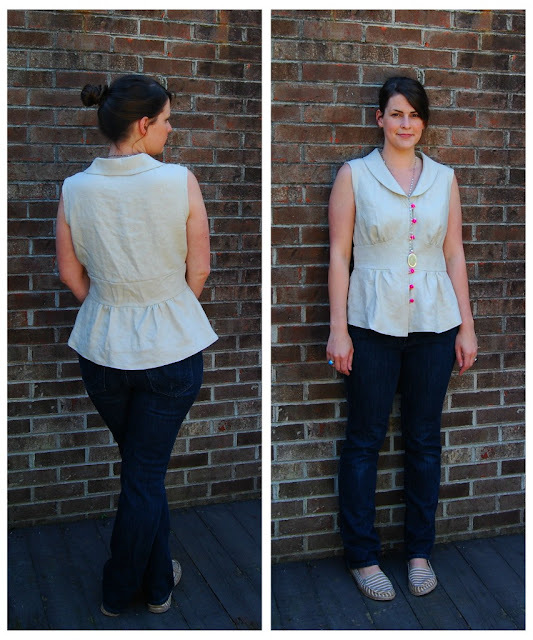 It was practice to check the fit on Simplicity 2601. I have had this blouse on my to do list for ages. I've seen some really fantastic versions. And anything with a nipped in waist like this is more flattering for my shape. At least I think it is. All those cool "design" details in my version? They were out of necessity. 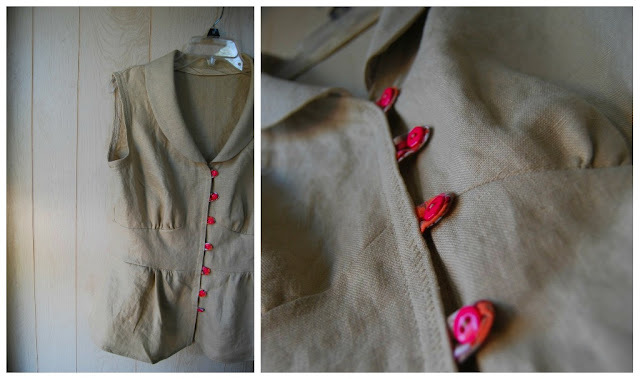 I used the last little bit of gorgeous linen I used to make this baby robe. I didn't have enough to cut the bindings and facings so I used a loosely woven linen in a similar color. The loosely woven stuff was so wiggly I couldn't get my bindings to turn under well. I had to run a second row of stitching to hold the bindings in place a little farther in. I kind of like the way the double zig zag looks. I'll just pretend I meant to do that. I also couldn't make those dang loops out of that same wiggly linen. I ended up using a bit of pink floral quilting cotton to make the loops. I like the little bit print there. Again-- I meant to do that. I picked the neon pink buttons after I did the loops. I added one more button at the bottom to keep from showing belly. It ended up a tiny bit big. I cut my normal size because I knew I needed it through the shoulders. I did a square shoulder adjustment, though I do it highly nontechnical-like. It was pretty shapeless when I first sewed it up. There wasn't a big difference between the midriff and the rest of the blouse like the line drawings indicate. I ended up taking in the midriff piece at least a 3/4" on each side. Then I tapered the top and bottom pieces to match. I think the shoulder and top pieces are a bit wide still, but hey- it's a casual linen top. It will be perfect for those sweltering summer days. I really like this pattern. I love the shape of the blouse. I love the loops and buttons on the front. I love all the collar and sleeve variations. I can see it becoming a staple with a little more tweaking. 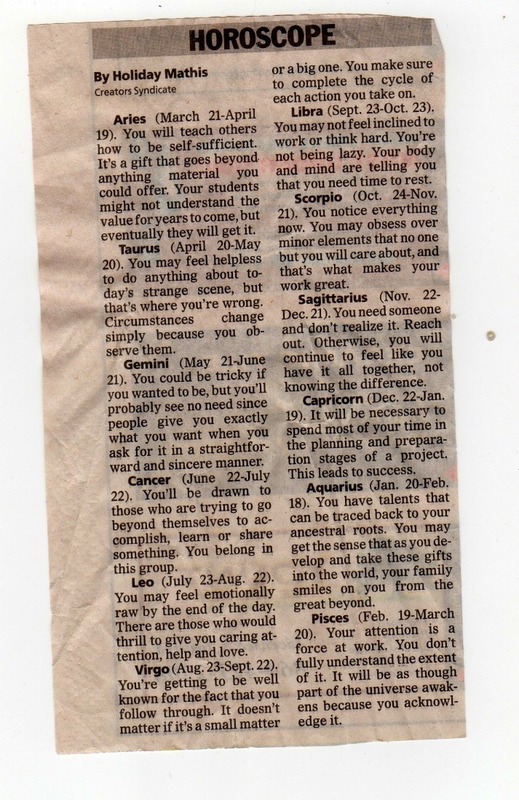 It all started with a horoscope. Do you believe in that sort of thing? I don't, but my mom will call me everyone once in a while and read it from the newspaper when my horoscope is spot on. 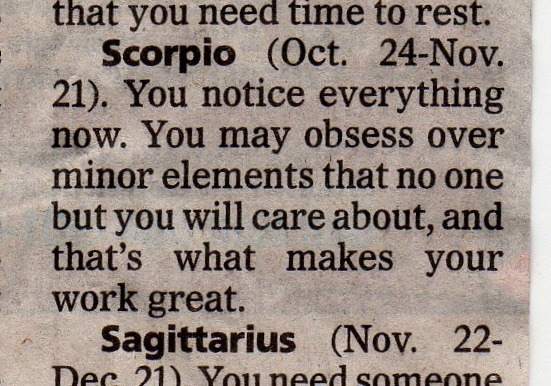 Whenever you get one of those uncannily true horoscopes, it makes you wonder. Of course, then you get a perfectly generic one the next day. Are our personalities really determined by planets, stars and movements of the earth? Who knows. I've heard of crazier things. Not that I'm going to start calling up Miss Cleo for life's difficult decisions or anything. Anyway, this was mine the other day. My mom pointed out that besides both of my grandmothers sewing their entire lives, both of my great-grandmothers were known as excellent seamstresses. I got a little sentimental and I am definitely not one to get that way. In fact, I've been accused of being totally unsentimental to a fault. I felt just a little twinge of nostalgia. Are my great-grandmothers really smiling at me from beyond? Kind of a cool presumption, if you ask me. 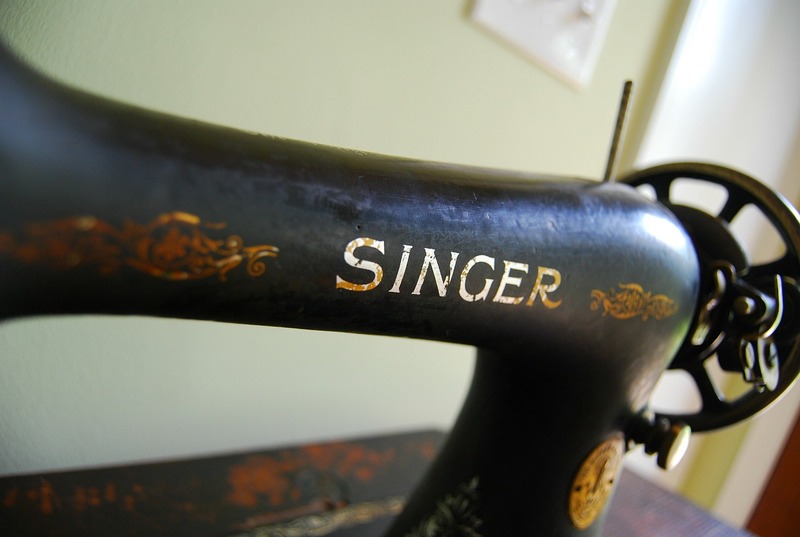 That my love of sewing has somehow been passed down to me through generations. Can be traced back to my roots. 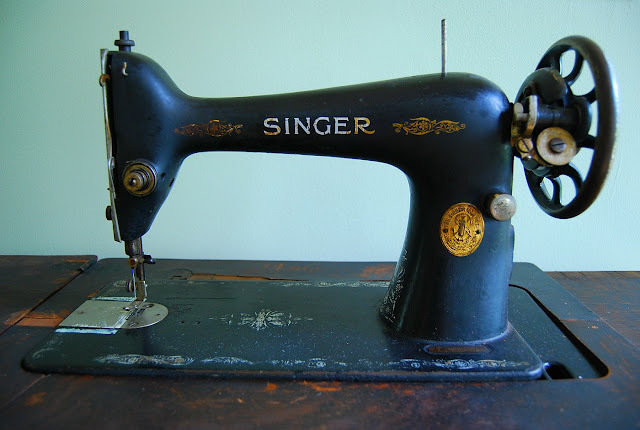 I do realize that most people's grandmothers and great-grandmothers sewed. 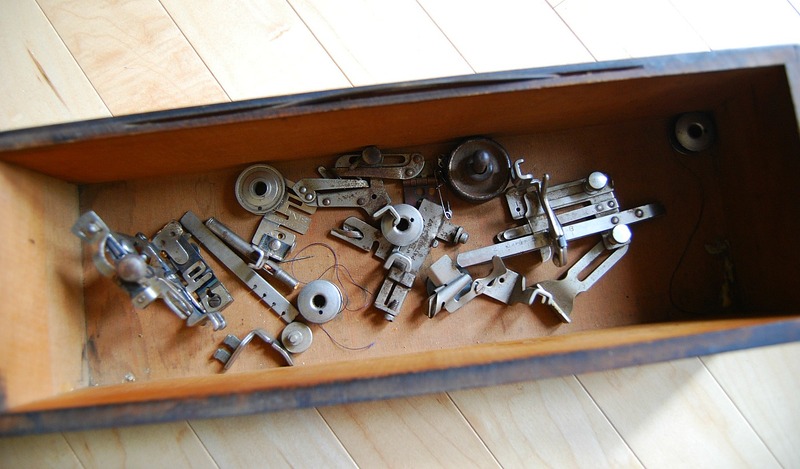 Pretty much everyone knew something about sewing in the past. It was a skill that mothers taught their daughters out of necessity. I feel like it's only been in the last couple of decades that people don't know anything about how to use a sewing machine or even stitch on a lost button. I can't tell you how many people say that when they realize that I sew. You made that? I can't even sew on a button. Do you know how to hem pants? And you know they probably do know how to sew on a button. 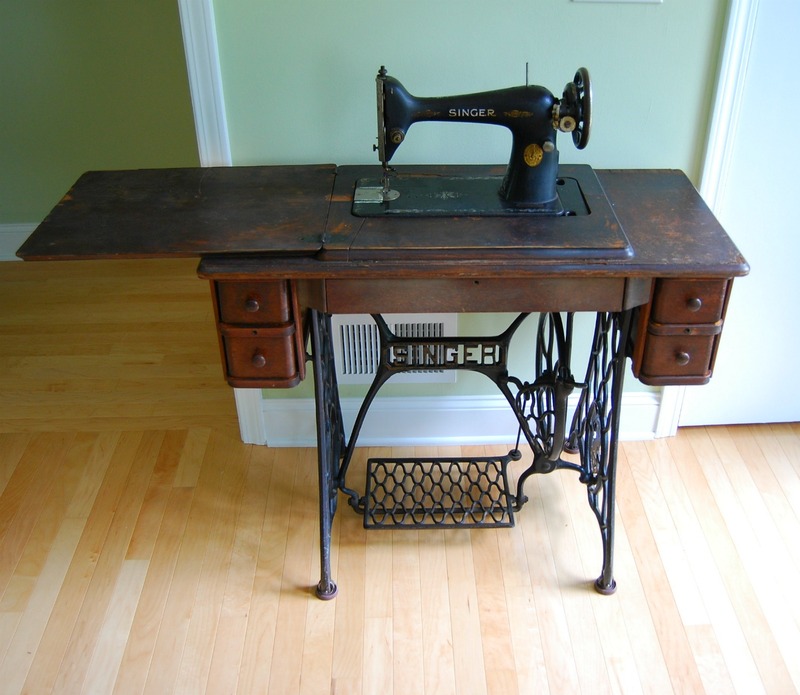 Anyway, it's interesting to think about how sewing has changed over the last hundred years or so, specifically sewing machines. 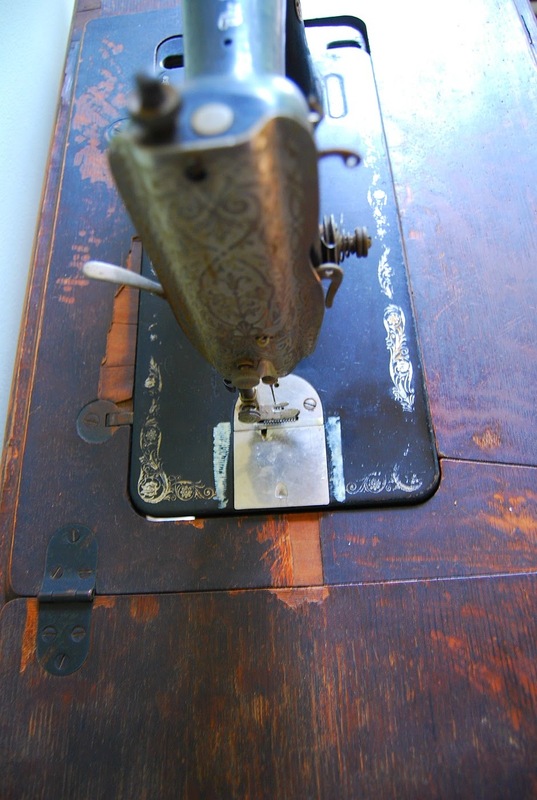 I started thinking about how different the sewing machine my great-grandmother used was from what I use today. Even different from what my grandmother used. We went there to check it out together. It was pretty beat up. 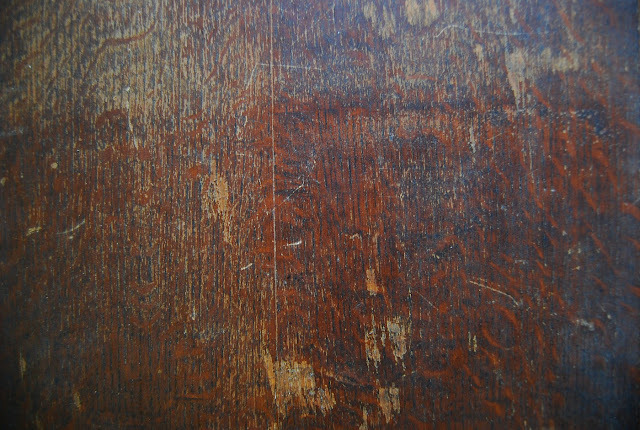 The veneers are peeling up at all the corners. The decals are almost worn off. 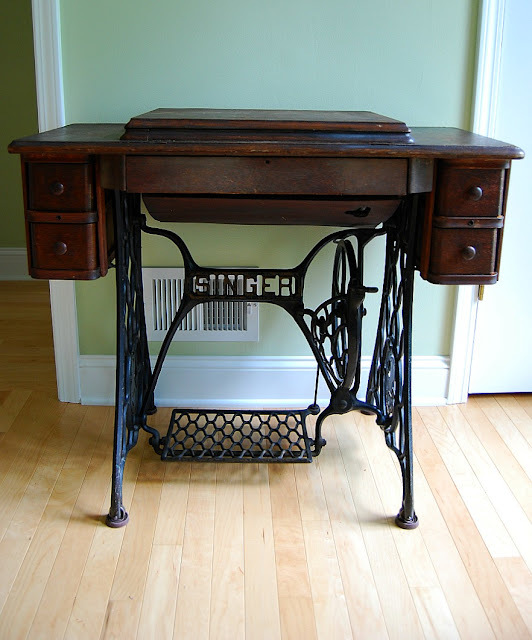 The leather treadle belt was cut in three places. It's definitely not in any kind of collectible condition. But something said take me home. J said he would explain how to fix the peeling veneers. He made sure to stress the fact that I would be fixing it, not him. I smiled and nodded. He was hunched over, working on it. Doing what he does best. J works with wood all day long. His day job is designing new products for a hardwood flooring company. He works with paints and stains all day. He mixes and matches color. He can identify wood by it's grain. 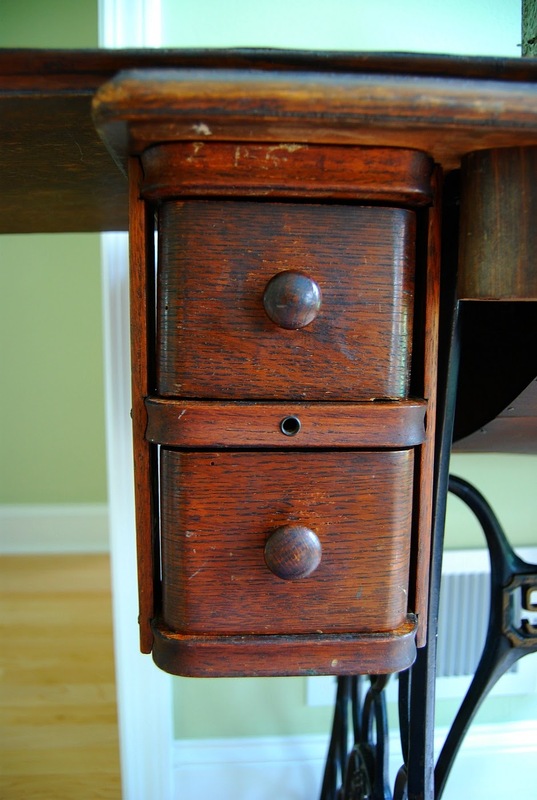 He can do anything when it comes to fixing and restoring something made out of wood. 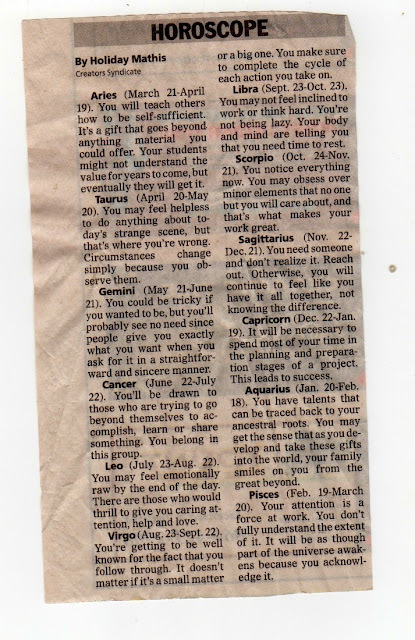 This is his horoscope from the same day. I know his family will get a kick out of that. I tease because he's completely Type A while I'm the other type, whatever that is. 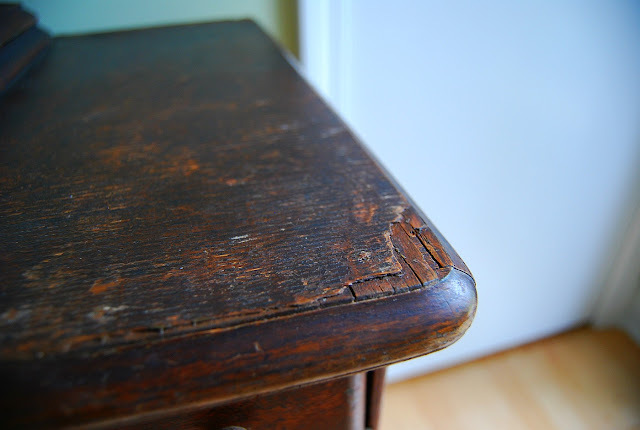 We're not planning on totally restoring it or anything. Just fixing the most obvious damage. I like the old cracked veneers anyway. 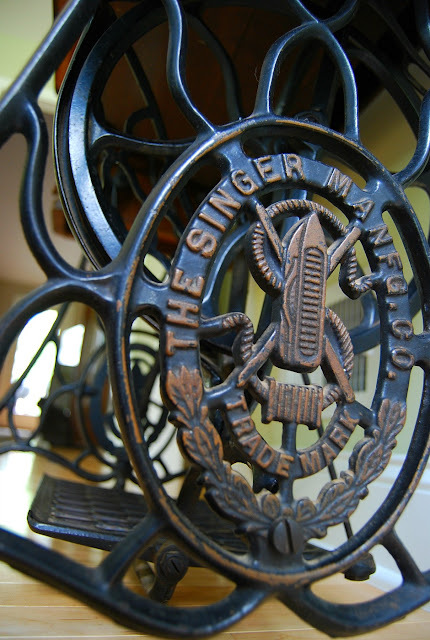 So, we are now the proud owners of a 1926 Singer model 66-4 treadle sewing machine. It's actually the same model Peter wrote about but without the fancy decals. He had the collectible model. We have the model that's known as the one with the "boring dress." The wheels turn smoothly. The pedal works. The needle goes up and down without a hitch. 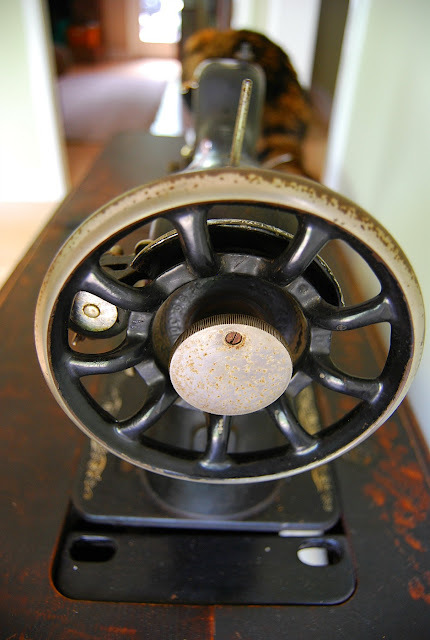 And I noticed that the bobbin is full of new thread and there is a modern needle in it. Someone has used it recently. I've already ordered a new leather belt. 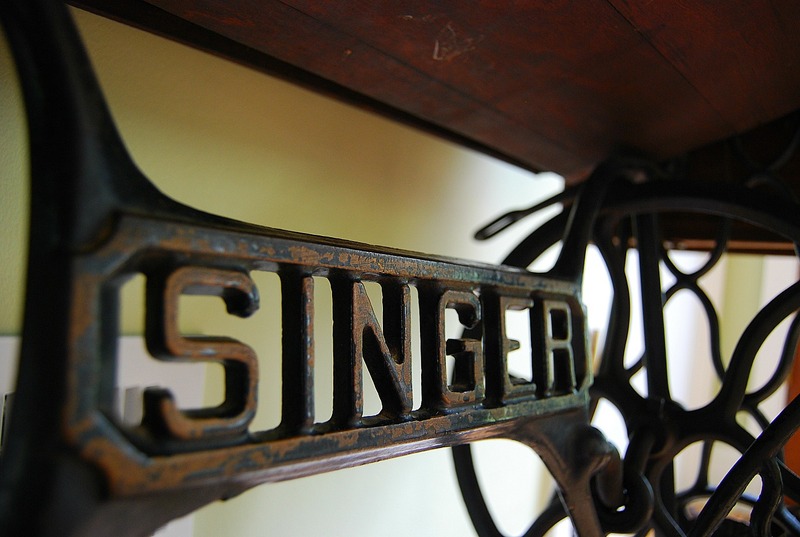 And even if it doesn't get used (which I'm hoping it does), it makes a pretty entryway table. It's a nice reminder of that smile from beyond.